Low noise garden and landscape maintenance by Eco Garden Maintenance in the Leeds, York, Selby, Tadcaster and Wetherby area. Selby District Council considering charging for the green waste bin collections. Eco garden Maintenance are proud to provide unique organic gardening services in the Leeds, York, Selby, Wetherby and Tadcaster areas. We are passionate about organics and green living. Organic gardening and landscape management is not only kind to the environment and wildlife but it is also kind to the adults and children who use these outdoor spaces. The plants in your garden will love you for it too! The main principles of organic gardening are concerned with looking after the soil and not using any chemicals. But there are many other aspects such as composting, minimising carbon footprint, using local products and services and keeping noise levels to a minimum. Eco Garden Maintenance use Pellenc battery powered tools extensively, which have zero emissions at point of use and extremely low noise levels compared to their petrol equivalents. Looking after the soil is vital for ensuring the good health of the life contained therein and ultimately the plants growing in it. Healthy soil will result in attractive plants that grow well and are aesthetically pleasing. 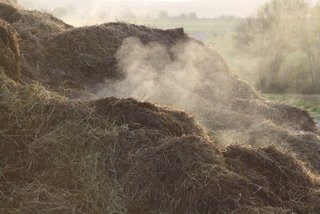 The most important operation in the organic garden is the regular addition of bulky organic matter. This can take many forms such as home made compost, soil improver, manure, organic fertilisers and green manures. All of these can be lightly dug in or spread on the surface as a mulch. The worms and other soil life will quickly get to work and start incorporating it into the soil profile. Often mulching is the only option. Eco Garden Maintenance can shred most garden waste produced in clients gardens which when composted well can provide most if not all of the organic matter required. WARNING: COMPOSTING IS ADDICTIVE ! Should clients not have the time or knowledge to look after their compost heaps then we can do that for you when we visit. We can also supply and erect compost bins which will last and provide enough space to deal with all your green waste material. In cases where this is not enough we can supply large amounts of aerobically composted manure for applying to garden beds. Gardens which have lots of trees either in them or nearby tend to be full of leaves come the fall. Most people tend to think of them as a nuisance because of the time taken to clear them up and dispose of. It is not a good idea to let leaves stay on lawns and plants too long because they stop light and air getting to them. However, in an organic garden it pays not to be too tidy as the leaves will provide shelter for insects. 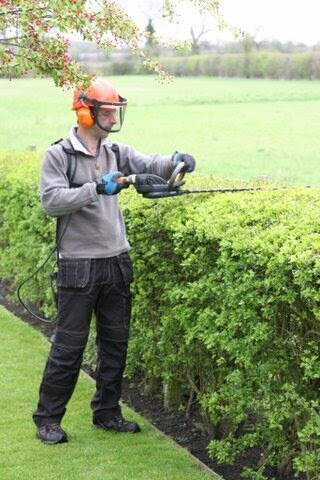 Eco Garden Maintenance has the machinery and skills to collect large amounts of leaves efficiently. These leaves should be utilised in the garden by heaping them up and making leaf mould. As leaves do not break down very rapidly they should be kept separate from the compost in their own enclosure. Keeping them moist will ensure they break down faster and in a year or two the result will be a lovely black leaf mould which has many uses in borders, pots and as a lawn top dressing. It is easy to forget the lawn when considering organic principles as it is the part of the garden which usually suffers the most from lashings of synthetic fertilisers, moss control products and toxic selective weed killers. It is easy to set your lawn free of it's drug taking habits by adopting an organic lawn care regime as provided by Eco Garden Maintenance. It can start with something as simple as mulch mowing and include many other organic lawn care techniques such as top dressing with compost. Please see our page dedicated to Organic lawn care for more details. Pests and diseases in an organic garden are controlled not by chemical means but by attracting beneficial insects and animals into the garden. These "friends" will happily set about reducing the number of pests to a natural equilibrium. There are numerous ways to attract these friends to your garden such as leaving wild areas, creating log piles, growing plants which attract predators and not being too tidy. Eco Garden Maintenance can work with you to create an organic and wildlife friendly garden. The plants and wildlife in your garden will love you for it and above all a healthy garden will be an attractive one. To find out more about our unique organic gardening services please contact Eco Garden Maintenance.